Search engine optimization (SEO) is ever-changing and evolving. Many business owners and marketing managers wonder where their SEO efforts can be best utilized to have an advantage amongst their competitors. Many marketing managers and business owners go into the new year ready to implement the online marketing plans they created the year before. In case you’re just starting to plan, are a new business, or are looking to add to your existing online marketing plan, we’ve got some SEO tips to help you. Here are three SEO musts for 2018 along with free tools to help you get your online marketing efforts on track. It’s no secret that website speed is an important factor for SEO and user experience. Having a fast loading website is important today as online users want information quickly — and by quickly, we mean very quickly. The ideal website load time is three seconds or less and two seconds or less for e-commerce. However, today, users are expecting websites to load in under two seconds. So, two seconds should be your goal. Having a fast loading website will decrease the likelihood of users leaving and can improve traffic and conversions on your website. Let’s say you’re running Facebook ads or Google Pay-Per-Click ads through AdWords. Imagine you spent the time to create an ad with ad text copy and even designed a great landing page for these users to go to where you’re promoting the product or service you’re advertising. A user finds your ad compelling and relevant so they click on it. BOOM you’re charged for that click. But then the user is waiting…waiting…waiting for your page to load. After five seconds of waiting, they decide they will hit the back button and look elsewhere. This leaves you paying for the click without a converting customer which means you’re losing money AND potential customers. This is why it’s important to have a fast loading website. Additionally, Google has come out publicly to say websites should be optimized for mobile first as (generally) mobile users are surpassing desktop usage. Pingdom – Pingdom helps you analyze your website’s speed to make the web a better user experience for users. It lets you identify what about a web page is fast, slow, too big, what best practices you’re not following, and so on along with recommendations. WebPageTest – WebPageTest is a website performance and optimization test showing consumer connection speeds along with recommendations to help improve loading time. Test My Site – Test My Site is Google’s free site speed testing tool offering recommendations for improving website performance across all devices. PageSpeed Insights – PageSpeed Insights is another free tool Google offers showing mobile optimization and speed scores along with desktop optimization and speed scores. PageSpeed Insights also offers recommendations to help improve site speed scores. These website speed tools are free and provide a lot of information to help you improve website speed. Please note that some recommendations may require a web developer’s expertise to implement. Video content has been on the rise and really taking more notice since 2014. If you’re on Facebook, I’m sure you’ve seen a huge change in your newsfeed content. You’re seeing much more video content. Also, since late 2014, Facebook has said video content is one of the most engaging and immersive ways for individuals and businesses to tell a story. There can be one big glaring problem with incorporating video content into your marketing efforts. It can be expensive as hell. As you can see, there are several benefits to using and implementing video content into your online marketing strategy. So how can you begin creating video content? Plan out topics of what you’d like to talk about. Find what your users and buyer personas care about. What questions are they asking? Showcase your company and why you’re different from your competition. See if there’s room in your marketing budget to hire a videography company. Interview these companies to get a feel for their style of work. Ask for their portfolio if they don’t have one online. And ask around for quotes for the project you have in mind. Many times, you can save money if you don’t rely on the videographer to create a script. You can also save money if you practice what you want to say as many videographers bill by the hour when filming and if you’re having to do several re-takes, that cost can add up. A powerful way to implement video content at a relatively low price is to create Facebook Live videos. Be sure you or the person you’re filming is comfortable in front of the camera. Also, make sure you have a good internet connection and lighting for a Facebook Live video. If you’re on a tighter budget, there are ways to save money. Purchasing a good camera with video can be one way. Many people find that purchasing a decent camera and editing the videos on their own can work fine. You can use free or inexpensive editing tools like iMovie, Windows Movie Maker, or Animoto. Bonus: Here are some free and affordable licensed music options. Video marketing and content isn’t going anywhere anytime soon, so hopefully you can find a way to incorporate it into your marketing budget. Another big move for helping improve your online marketing efforts is looking at ways to be featured in the search engine result page (SERP) features. What are SERP Features? SERP Features are search results shown on a search engine result page that is not a traditional organic search result. There are several different types of SERP Features available. Moz Pro has a great, user-friendly SEO software that showcases different SERP Features. Above are 16 options that commonly appear in search engine result pages. You can monitor your website in Moz Pro and see if your website obtains any of these SERP features. For example, if you have a local business, you can see if your website shows up in the Local Pack SERP Feature. Or if your company has a Twitter account, you can see if your Tweets are featured in the Tweet Feature and so on and so forth. Here is a key from Moz explaining these top 16 SERP Features. Why does Google offer and showcase these SERP Features? To provide a better user experience. If your company can plan and strategize ways to be featured in Google’s SERP Features, you can dramatically improve your brand awareness, website traffic and hopefully, website conversions. To give you an idea of how beneficial it can be to be featured in a SERP Feature, one of my clients was showcased in Google’s Featured Snippet for a blog we wrote. In one month, their website traffic increased by 25%! 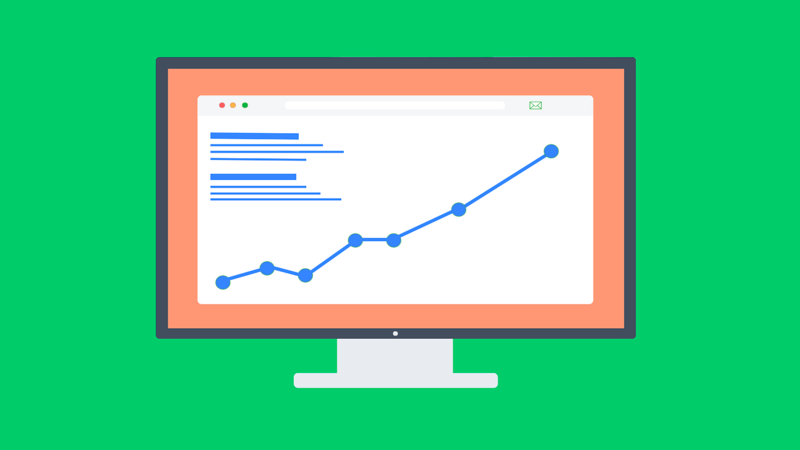 Improving your website speed, creating video content and being shown in SERP Features can be very beneficial for improving your search presence online. We’d love to hear what SEO plans your company is implementing for 2018. Share your thoughts in the comment section below and share this article with someone you know!